As a Senior Aquaculture Technician, my work is related to the maintenance of several marine species under a controlled environment. Determining, interpreting and correcting the physico-chemical parameters of the water along with handling, transferring and transport of organisms between tanks or facilities are some of my tasks. In addition to the Bioterium routine, I am also helping with the execution of the EMBRC.PT project and optimizing some internal protocols of the Ramalhete as well. 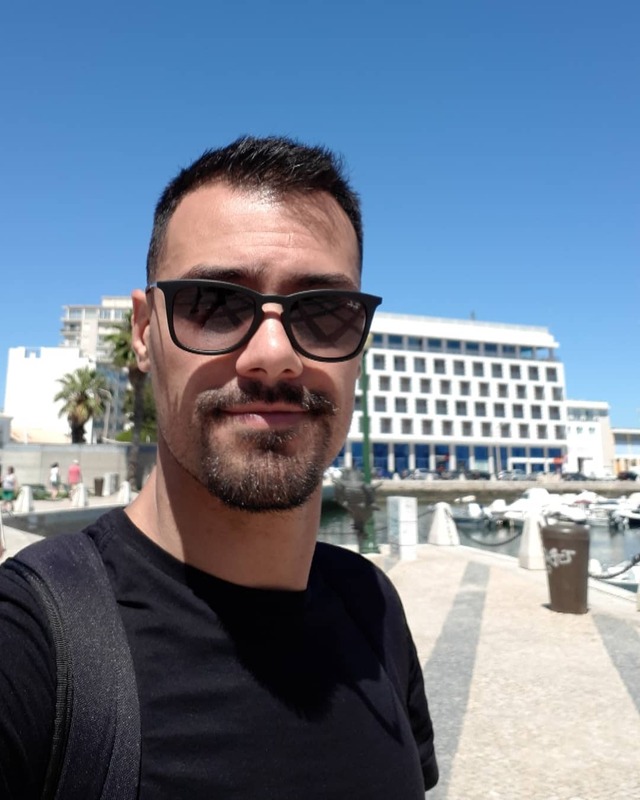 I was a bioterium techinician at the Interdisciplinary Center for Marine and Environmental Research (CIIMAR) in Matosinhos (Porto). I was responsible for the quarenteening and maintenance of several different vertebrate species originating from salt, brackish and freshwater environments, as well as for the breeding and maintenance of zebrafish (Danio rerio). I was also involved in the organization of the CAL-AQUA courses and partook in them as one of the trainers. The setup of aquariums for CMIAs of Matosinhos and Vila do Conde, as well as for exhibitions where CIIMAR is regularly present were also part of my functions. In my free time I try to workout regularly at the gym, but what I really like doing, is to play video-games, going to the cinema or the beach, and apreciating the company of friends.